Live your life CHARGED with gratitude. Actively seek out the blessings in your life, however large or small. And don’t delay. Right now is all you have. For the second week in a row, our Torah presents a detailed description of the ritual of sacrifice. First in the Mishkan in the wilderness, and later in the Temple of Jerusalem. Some of these offerings, or korbanot, were created to atone for sin, or to elevate the soul when missing the mark. But there was another type of sacrifice as well… one that arises from a sense of wholeness and wellbeing – this is called the Korban Todah, or Thanksgiving offering. Rather than an expression of human shortcomings, this offering was meant as a response to the abundant goodness of God. You might find it interesting that the Hebrew root of the word Korban means “to bring close.” The Korban Todah supports our mindfulness. It brings us closer to our blessings, to others, to our deepest selves, and to the Master Creator of all this magnificence! The rabbinical teachings guide us to express our thanks through prayer, acknowledging every detail of the abundance in our lives – but too often, we neglect these basic yet profound gifts, as we let the sufferings of life overwhelm our appreciation. However, when we recite blessings, either from a prayer book or spontaneously from the heart, we remind ourselves to slow down…. to practice hakarat hatov…as we recognize the good that we already have … an adequate meal, a supportive friendship, a loving family member…. we may see a brilliant sunset, notice the sweet chorus of springtime birds, or the artful canvas of flowers smiling up at the sun. When we take a moment, just a moment, to step outside the routine or our lives to give thanks, we make the ordinary extraordinary. We begin to live from a place of faith and trust in the inherent goodness that life so graciously offers us. In Leviticus it says, “and the flesh of his thanksgiving sacrifice of wellbeing shall be eaten on the day that it is offered. None shall be set aside until morning.” None shall be set aside until morning. It takes no stretch of the imagination to understand that there were probably some food safety regulations happening…but let’s look at this through evolving and contemplative eyes. This can be interpreted as a command to enjoy the blessings of this day, in this moment, because it’s the only moment there is. So let’s live each day anew, as we seek out places of beauty and reasons to celebrate, even in the midst of life’s challenges. In Torah commentary it is said that “the fire of the altar must be paralleled by a fire in the heart.” On this Shabbat, let us not wait until the morning to give thanks that are due today. Let us share our love and praise for others. . Let us take that extra moment to appreciate the breath that fills our bodies so generously. On this Shabbat, let us sing, dance, and live our lives charged with gratitude, knowing right now is all we have. Today and every day, let each of us ignite the world with the fires of our own Korban Todah. Asher Yatzar is a Jewish prayer that offers gratitude and awe for the miracle and function of the human body. I have offered a brief reflection on part of the blessing, followed by a guided meditation/embodied experience of the prayer. Although it is short in linear time, (about 5 mins) I hope you will feel as if you have visited the sacred temple of your body, returning deeply nourished from a long rest. Yes, this is you. A beautiful work of art, always in the making. A vessel through which Creation gets to keep being reborn, re-discovered, and reinvented. You are a container and a channel for good in the world. A vessel of hidden light. How can you expand this vessel, make it bigger, stronger, more available, to all the good that is ready to dwell within you, ready to pour forth from you? How can you begin to reveal your own inner, hidden light to the world? I hold this to be true, in my own yoga and movement practice, and I invite you to explore this idea in your own body and soul. Notice the vessel of your lungs – how much air moves in and out? How much can you contain before the ribs, chest, belly, offer resistance? Just notice. Exhale every breath completely. Notice the vessel of the body, areas of constriction, areas of relaxation – without trying to change anything, just notice. Tap into the vessel of your mind, both the sense of your physical brain, and the concept of “mind.” How flexible or rigid does it feel in this very moment? If you are a visual person, you may explore creatively what your vessel currently looks like- a vase, a bowl, colors, size, texture, etc. 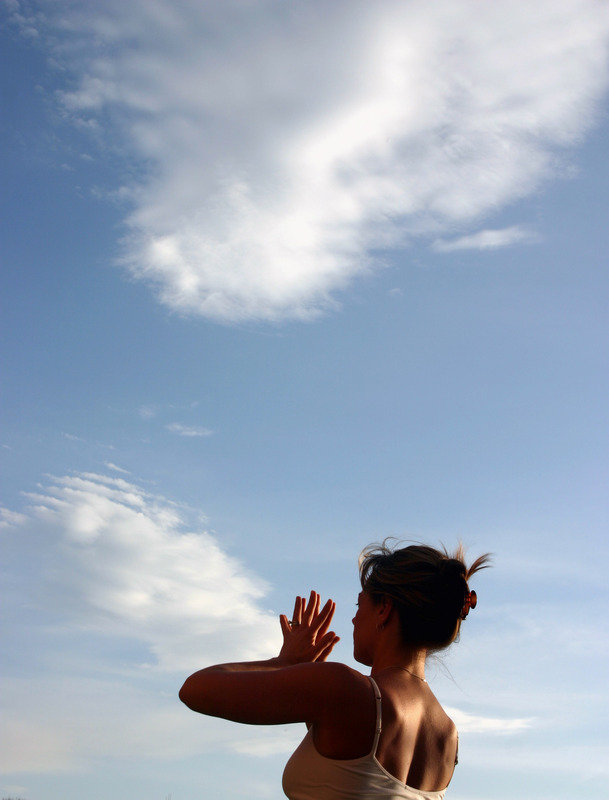 I’d like to offer the idea that you let the focus of your practice today be strength AND softness. (this could be likened to what is called sthira and sukha in the yoga sutras; a balance of steadiness and ease). How do my strength and softness work together to mold me into a balanced and beautiful vessel? 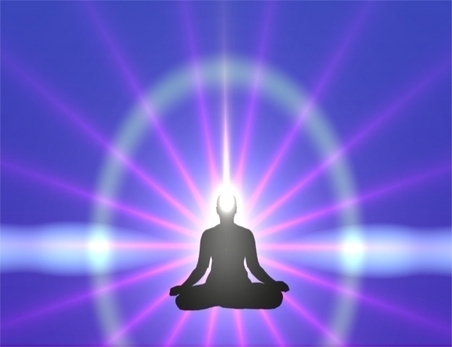 When you do more active, effort filled movements, imagine light emanating from your body, radiating outward. As you embrace slower, less active poses and movements, (like child’s pose, or stillness, for example), let this be a time to receive light into your self. With every breath, feel yourself being molded, shaped, and fashioned into a vessel for sacred life. You are a partner with creation, expanding awareness and well-being, revealing the hidden light within. May your practice reveal your radiance.